Brands created with purpose have inspiring stories to tell. Beyond selling a product or service, these types of brands may have a purpose focused on improving society, making lives easier and healthier, or tackling an environmental problem. Often, it’s easy to frame an elevator pitch around what you do, but this misses the chance to connect with people at an emotional level. Strategic marketer Simon Sinek’s research shows how companies that ‘start with why’ instead of ‘what’ are more likely to succeed and build strong, trusted brands. With the right confidence-building tools, business leaders can reframe how they communicate purpose, moving their ideas forward into action. Sharing brand purpose confidently helps attract and connect with the ideal target audience. Once they learn about the brand’s purpose and connect with it, consumers are more likely to engage and trust these brands. Effective communication skills and the ability to speak with confidence are also essential for business success. Communicating confidently can build loyalty, strengthen reputation, gain exposure, and attract the right partners to increase profit. How would your business change if you could confidently share your brand purpose during meetings, one-on-ones, sales presentations, or even informal conversations? Event Details – SOLD OUT! Tickets: $35 + GST, includes: inspiring speaker, fun networking opportunities, tasty appetizers, fabulous door prizes, cash bar and more! 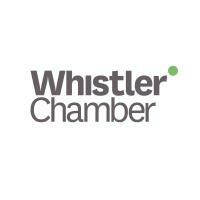 Event Hosts: Lighthouse Visionary Strategies, Local Whistler, Seeds Consulting. Lucas is a Vancouver-based Communications Trainer and Certified Professional Coach who educates business professionals on techniques and strategies to become confident communicators. Using his personal experiences of living with anxiety and panic disorder, Lucas has empowered clients and corporations with proven self-management tools that eliminate stress, build confidence and elevate your message. He has been featured in Forbes Magazine and numerous news shows, is a best selling author, and his corporate clients include Vancouver Coastal Health, the City of Burnaby and others. Why Become A Certified B Corporation?